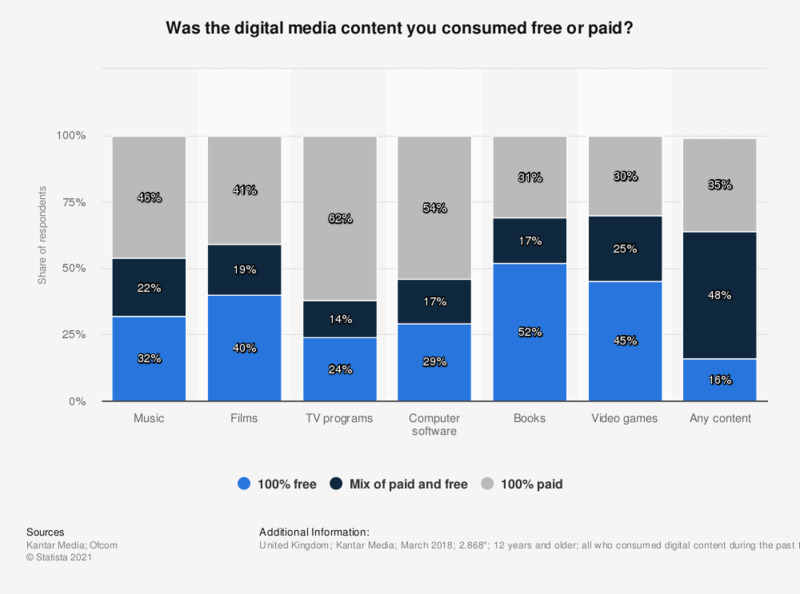 The statistic presents data on paid and free digital media consumption among internet users in the United Kingdom as of March 2018, broken down by content type. Among those who reported consuming digital TV programs within the three months previous to survey, 24 percent reported consuming this content completely for free. The respondents were questions using online (CAWI) and face-to-face surveys.